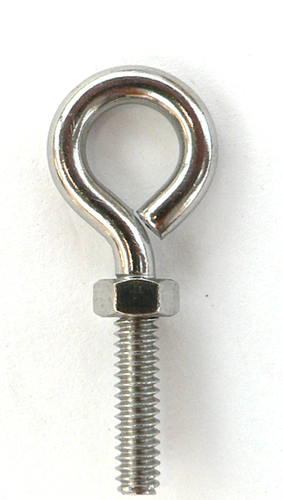 We have emerged as one of the leading manufacturers of industrial fasteners and pipe fittings. These encompass nuts, bolts and screws and are appreciated for their sturdy construction, high tensile property and superior performance. We are engaged in manufacturing and offering a vast range of quality of industrial fasteners and pipe fittings. The product range encompasses eye bolts, lifting hooks, shank hooks, d shackles, allen bolts, t bolts, stainless steel bolts, stainless steel nuts, stainless steel studs, ferrule pipe fittings etc. Our wide range of nuts, bolts and screws are manufactured using carbon steel, alloy steel, stainless steel and steel sheet. The products are known for their sturdy construction, high tensile strength, high temperature resistance and performance. These are used on a large scale in the manufacturing industry which include electric motor, cement, chemical, oil & gas, steel, construction and engineering industry.